ABC Dev’s field service solutions include billing, ordering, record keeping, asset tracking, scheduling, location-based services and more. These applications improve customer service and help get the job done sooner, with fewer trips. Connect drivers, customers, locations and systems. ABC Dev's suite of transportation solutions create a dynamic interchange of real-time data leading to organizational efficiency. Gain control of your assets and leverage them to your benefit. Successful and secure deployments lead to more accurate inventory, less shrinkage, increased revenues, lower labour costs, increased productivity, powerful customer research, and increased customer satisfaction. Building diverse, and fully integrated products. ABC Dev is a newly incorporated, venture backed software development company in Canada. Our strengths come from our staff and their abilities. Our staff are experts in their respective fields, and bring a lot of innovative and creative thought to our products. Our positive work environment helps bring the best out of our staff, and we're proud of their achievements! Our Platform serves as a common architecture for both custom and configurable mobile applications. Create beautiful, unique systems with impact. The enterprise mobile devices and WLAN infrastructure come from the best of breed vendors. These enterprise devices are feature-rich and serve to support our enterprise software suites. To get the job done, your workers need access to business-critical applications out in the field. They want a business device that is every bit as small, sleek and as easy to use as their own personal smartphones. Cross OS mobility platform with fundamental components common to the majority of wireless software applications such as security, communications and device management. Applications can be upgraded easily over time due to a modular architecture and can be easily ported to work on other devices in the future as individual device complexities are handled in the platform layers. Applications can be easily ported to work on other devices in the future as individual device complexities are handled in the platform layer. Our highly knowledgeable team can tailor your system with security, communications and device management by leveraging the platform’s proven components. The gateway for all data interchanged between the back-end enterprise systems and the mobile devices. It is architected to provide reliable connectivity, synching, efficient use of bandwidth, off-line device operation and enterprise grade security. GPS data opens up an array of possible solution functionality. Proof of delivery can include a signature, time and location stamp. Historical readings can be displayed on a web-based map to show a “breadcrumb trail” of a driver's day. Application business rules can be aligned to pre-determined GPS geofences. Additionally, drivers can utilize turn-by-turn navigation to their next stop. With connectivity to your commercial or consumer grade vehicle via J-Bus or OBD2 respectively, ABC Dev can accurately track speed, RPMs, idle time, hard brakes and more. This data can be parsed and sent either real-time via WWAN or in batch via WLAN and Bluetooth. With this information, fleet managers can complete detailed analyses of route profitability, driver performance, maintenance requirements and more. With intuitive functionality drivers log in and out, view assignments, complete tasks, and collect signatures on their mobile PC. Real-time visibility and delivery confirmation builds driver accountability as well as customer trust and satisfaction. Decrease expenses by automating your record keeping system. By leveraging barcode and RFID technology all data relating to your company's assets are at your fingertips allowing you to have better control over administration, tracking and scheduled maintenance. 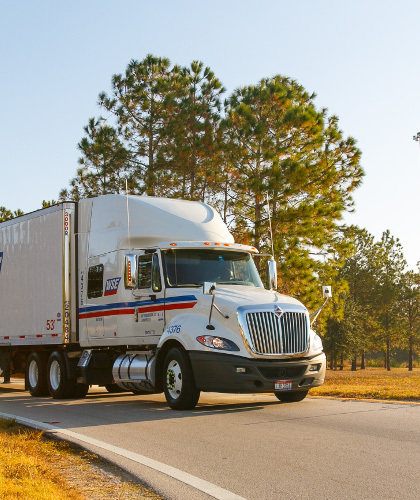 Real-time fleet visibility allows for effective planning, scheduling and communication with drivers. Dispatch knows what deliveries have been made, by whom, and at what time. Integrated systems allow dispatchers to upload assignments easily. Low bandwidth text messaging allows drivers and dispatch to communicate efficiently. These non-SMS messages are sent as data, and as such do not incur incremental carrier fees. Keep accurate records pertaining to each driver including hours logged, distance driven and loading fees- all while keeping track of driver status, be it owner-operator, salaried employee, or third party. Pass materials from incoming to out-going trailers in a manner that optimizes assets and eliminates need for staging. Real-time information allows for advanced planning to take the guess work out of your logistics. Know where the trailers are, what's in them, when they got there, where they're going, who moved them and who's moving them next- anytime, from anywhere. Your drivers hold the electronic account and statement details on their handheld device. Your clients can accept delivery simply by signing on the touch screen. 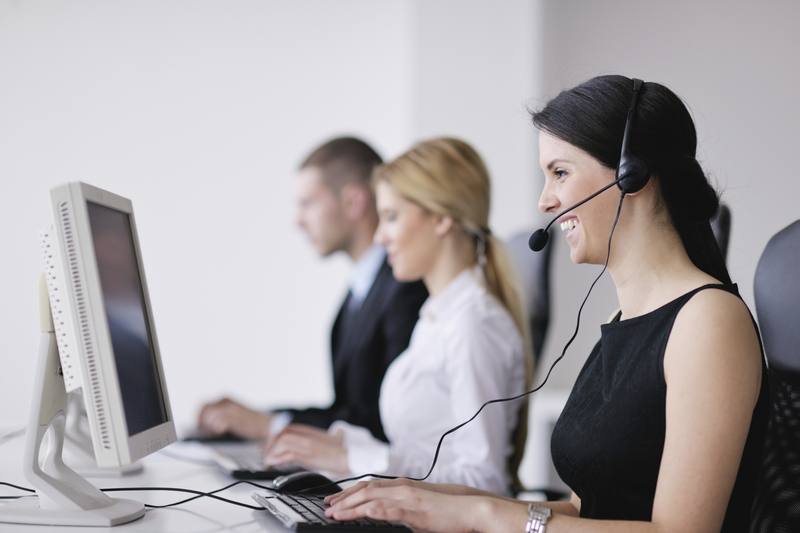 This improves accuracy, and productivity as well as accelerating the billing cycle. Set the Bride and Groom loose on the sales floor with a barcode scanning enabled handheld device. Designed for simplicity and scalability, the application includes features such as real-time review and modification of data, online collaboration and alerts to inform users of similar, complementary or restricted items. Use the registry as a tool to improve customer experience and boost sales. Allow clerks and managers to re-order inventory from anywhere at anytime. By scanning the barcode of any item, all relevant data associated with the item such as the sales history, cost, pricing, inventory and on-order amount are available to enable better decision-making at the point of activity. Integration with back-end systems ensures that orders are placed in real-time with no paperwork. 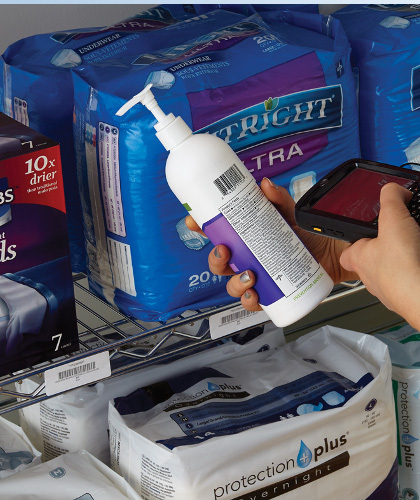 Maintain an accurate inventory by utilizing mobile computers to scan barcodes and enter inventory counts. Integration to back-end databases can facilitate reporting tools or automated replenishment. Process transactions away from the traditional check-out and alleviate lengthy line-ups. Using a wireless handheld device equipped with a barcode scanner and magnetic stripe reader, staff can easily process transactions from anywhere. Authentication is collected on-screen with signature capture and a mobile printer takes care of the receipt. Take control of the constant flux of pricing, promotions and shelf management. Activities and instructions can be pushed to clerks in real-time to keep aisles on target with current business objectives. Interface between disparate systems and create a dynamic interchange of real-time data. With a deep understanding of buffer tables, APIs, databases and web services, we have demonstrated ability to integrate a mobile layer of communications with a wide variety of back-end systems. 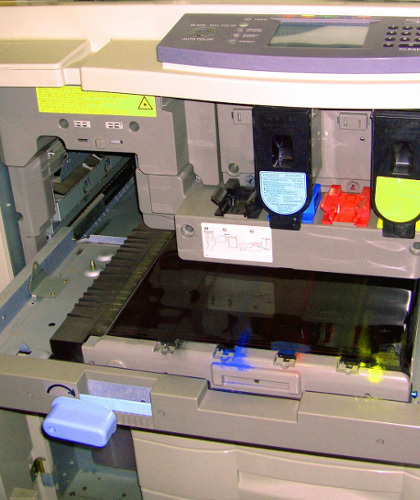 Reduce errors and expedite promotions by using a wireless belt printer. A typical 10,000 SKU grocery store completes 1,500 price changes per week. Printing labels at the point of activity allows workers to make merchandising modifications efficiently without continually shuffling to and from the back room. Decrease the time and cost associated with operating your solution with anywhere, anytime management software designed to accelerate deployment as well as remotely monitor and troubleshoot wireless devices and infrastructure. Engage customers and employees with wall-mounted kiosks. Connecting via Ethernet or Wi-Fi, the unit allows users to check price and product information, request sales assistance, view streaming video advertisements, and even process credit card purchases using built-in magnetic stripe reader. Low bandwidth text messaging allows technicians and dispatch to communicate efficiently. These non-SMS messages are sent as data, and as such do not incur incremental carrier fees. GPS data opens up an array of possible solution functionality. Proof of service can include a signature, time and location stamp. Historical readings can be displayed on a web-based map to show a “breadcrumb trail” of a technician’s day. Application business rules can be aligned to pre-determined GPS geofences. Additionally, technicians can utilize turn-by-turn navigation to their next stop. With connectivity to your commercial or consumer grade vehicle via J-Bus or OBD2 respectively, we can accurately track speed, RPMs, idle time, hard brakes and more. This data can be parsed and sent either real-time via WWAN or in batch via WLAN and Bluetooth. With this information, fleet managers can complete detailed analyses of route profitability, driver performance, maintenance requirements and more. Keep accurate records for each technician including hours logged, distance driven, assignment history and more. By leveraging barcode technology, all data relating your company’s assets are at your fingertips allowing you to have better control over administration, tracking and scheduled maintenance. Technicians have valuable face-time with your end-users in their own environment. With real-time access to client history and account information, they can update and up-sell services and equipment on the spot. Accept payment by credit card with a magnetic stripe reader attachment. Clients accept the transaction simply by signing the touch screen, and a receipt can be printed on the spot with a mobile printer. This improves accuracy, reduces disputes and accelerates the billing cycle. Real-time fleet visibility allows for effective planning, scheduling and communication with technicians. Dispatch knows what assignments have been completed, by whom, and at what time. Integrated systems allow dispatchers to upload assignments easily. Streamline your core process from end-to-end. With intuitive functionality, technicians log in and out, view assignments, complete tasks, and collect signatures on their mobile PC. Real-time visibility and delivery confirmation build technician accountability as well as customer trust. Our mission is to develop the leading Cross-Vertical Enterprise SaaS for workforce management that is tailored to custom needs. Our vision is to grow into a well-respected global player for workforce management leveraging leading-edge mobile technologies. Our philosophy is software should make things intuitive and easy to use by having the flexibility to absorb new technologies and methods while being adaptable to each customers' desires.